Fourth edition of the Pakistan Super League (PSL) is less than four months away and the excitement is on the rise, which is why the drafting process for the tournament took place in Islamabad on Tuesday where team’s finalized their player’s roster. While some teams looked to strengthen their foreign players lot, whereas others looked to strengthen their domestic players base. We at Cricket Pakistan closely monitored the development which took place in the country’s capital and identified the winners and losers of the PSL draft 2018. Lahore Qalandars is the team which is famous for all the wrong reasons. From finishing last in each of the previous three seasons to the news of unrest in the dressing room, there was constant negativity associated with the team. But this time around, Qalandars have assembled a very all-round squad – at least on the paper. The team was described by mentor Shoaib Akhtar as ‘one dimensional’ in the last three seasons has made a series of important purchases – the most prominent of which came in the form of former South Africa captian AB de Villiers. However, the real difference maker might well be the purchases of all-rounders Mohammad Hafeez and Haris Sohail, which strengthen Qalandars batting department significantly as both has the ability to play the role of a sheet anchor and can accelerate when needed. The team looks a bit thin on the bowling front, but in the presence of Shaheen Shah Afridi, Yasir Shah and Sandeep Lamichhane, there should be enough fire power in their ranks to challenge any batting lineup in the competition. 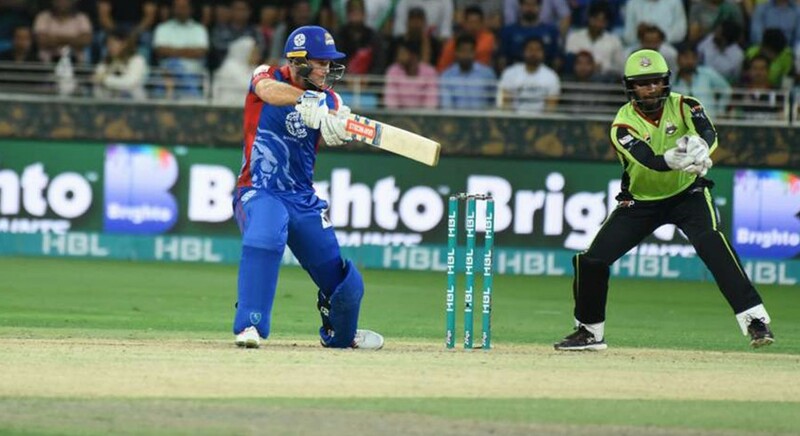 Quetta Gladiators is perhaps the most loved team in PSL as they’ve proved on more than one occasions that they are the true underdogs in the competition. The team which finished runners up in the first two editions made impressive purchases in the draft process and looked a much balanced outfit for the coming edition. The departure of star middle-order batsman Kevin Pietersen has left a big void, but the arrival of West Indies duo Sunil Narine, Dwayne Bravo and Pakistan-born Australia leg-spinner Fawad Ahmed will lift the batting and bowling department all together, somewhere the team was lacking in the previous seasons. Another player to watch out is left-handed middle-order batsman Saud Shakeel, who is an outstanding talent and can prove to be an important inclusion. Karachi Kings is perhaps the most underachieved franchise in the tournament. The team which always looked the best on paper are yet to reach to the final of the tournament. This time around, Kings have lost the star power of Shahid Afridi but did not make a big name signing to replace him. By the look of the squad, there is a genuine feel that Babar Azam will be under immense pressure to contribute with the bat and other teams will know that his wicket will be a game changer. Having tried and tested players like Iftikhar Ahmed and Awais Zia in the squad does not add any value on the face which means the team’s bench strength isn’t that great either. Overall, Kings squad does not give a good feel factor from the outlook, but that might just go in their favour as they will not start the tournament as firm favourite.